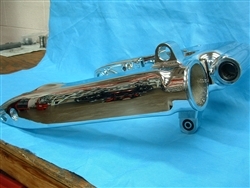 Chrome plating service on your Fury rear swingarm is the final compliment to the entire rear of your bike. Your swingarm is carefully polished on every side, top, bottom, inside, and out. Its a complete show polish on every visible part of the arm. 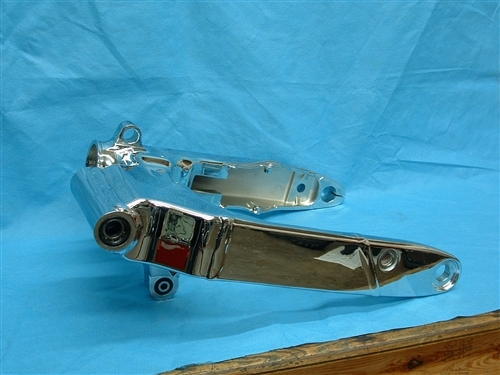 Submersed in a show chrome finish, its the best chrome swingarm service you've seen anywhere. . If needed, we can remove and re-install the bearings into your swingarm for you. Labor charge of $49 would apply for this service. Need new bearings for your swingarm? Honda OEM bearings (2 are needed) are priced at $54 for the pair.